Divorce mediation is one of the most common and effective ways to resolve the financial aspects of your case if you are going through a divorce in North Carolina. However, divorce mediation in North Carolina is also one of the most frequently misunderstood methods to resolve your case. It is unfortunate, but most people just don’t understand what mediation is. What are the Limits to Divorce Mediation? Can the Mediator (or a judge) force me to mediate my case? Can the Mediator force me to resolve my case if I don’t want to? Can the Mediator give me legal advice? Can the Mediator Draft my Separation Agreement? Do all Divorce Mediations end Successfully? 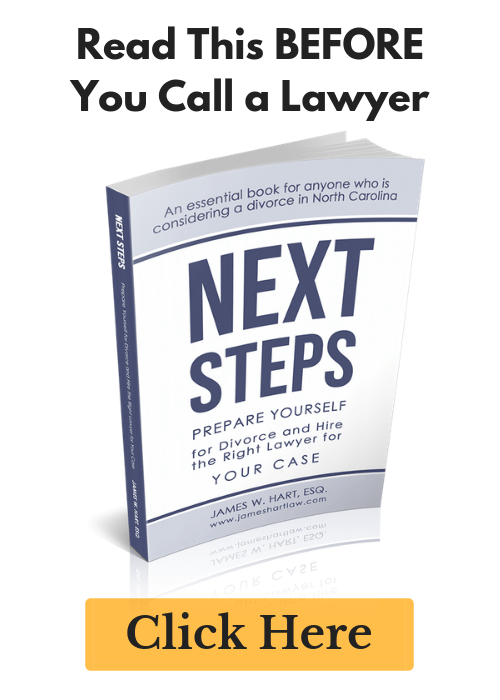 How long does a divorce mediation take in North Carolina? Do you need a lawyer to go through Mediation? How long after mediation will my divorce be final? What are the Disadvantages of divorce mediation? When should you NOT mediate your case? Are there limits to what can be accomplished in divorce mediation? Where will my divorce mediation take place? Who pays for divorce mediation in North Carolina? Will I have to see my spouse during mediation? Divorce mediation is the process where you meet with your spouse and a mediator, typically at the mediator’s office or in a courthouse, in an effort to resolve all or certain portions of your divorce case. The most frequently mediated issues in North Carolina include child custody, equitable distribution, and support payments (such as child support and alimony). In some mediations, you will start the process off by meeting with the mediator and your spouse in the same room. In other mediations, you will start in a separate room and will never see your spouse for the entire day as the mediator will bring settlement offers back and forth from your room to the room your spouse is working in. You can bring a lawyer to mediation, but in some cases (such as court ordered custody mediation), lawyers are not permitted. In the right situation, divorce mediation is an efficient and cost-effective way to resolve your divorce in North Carolina. There are a number of various techniques that all fall into the category of “alternative dispute resolution”. Some of these include arbitration, collaborative divorce, negotiation, and mediation. In this article we are going to focus on divorce mediation in North Carolina. What it is, the benefits of mediating your divorce case, and the limits of the process. You retain control – You (not a judge) will ultimately decide whether or not to settle your case, and under what terms. However, even though divorce mediation is so prevalent and popular, many people do not fully understand what is can and can’t do for your case. Nobody can force you to mediate your case. The mediator will not force you to resolve your case. The mediator cannot give you legal advice. The mediator cannot draft a legal contract (or separation agreement) for you. Not all mediations are successful. Let’s review these one at a time. No. Nobody can force you to mediate your case. But they can force you to be present and put forth an effort. The mediator has an obligation to try to move your case towards settlement. But if they realize that you have no intention of trying to settle your case in mediation, then the mediator will declare an “impasse” and send back a notification to the court that mediation was attempted and was unsuccessful. As mentioned above, nobody can force you to do anything in mediation. However, the mediator is likely to take time to explain the benefits of mediation and will try to persuade you to engage with the process. And on the other side, say you have spent an entire day working towards a settlement and you have resolved nearly everything about your case with the exception of one small issue. Nobody, including the mediator, will force you to sign a settlement if you aren’t happy with all of the terms. That means that you can still walk away from a full day of mediation without an agreement if you choose. The mediator serves as a neutral third-party. They cannot give you advice about whether the deal you have negotiated is a good one or a bad one. They can’t give you legal recommendations. That is what a divorce lawyer is for, and why many people bring a lawyer with them to their mediation. The lawyer is there to explain the process to the client and help them decide what to do. These are things the divorce mediator cannot do. Unfortunately, no. The mediator’s role is to help you and your spouse reach an agreement on all possible issue. They cannot serve as mediator AND lawyer. This is yet another reason why many people will choose to bring their divorce lawyer with them to the mediation. The lawyer can work to draft a separation agreement throughout the course of the mediation so that at the end of the day, in some cases, you will have a valid and binding separation agreement. The overwhelming majority of divorce mediations will end in success (typically 80-90%), but there are still a few that will end with an impasse, no matter how hard you try to work towards a settlement. This happens for a variety of reasons, and it isn’t always predictable which cases will settle and which will not. If you are looking to get your case resolved through a divorce mediation, you are probably wondering what you can do to ensure that the time and effort you put into mediating your case will result in a final agreement. This is one of the main questions we get – can you guarantee that if we spend all this time mediating, that we will be able to resolve our case? And the answer is clearly no, we cannot guarantee a positive result. But there are things that can be done to increase the likelihood that your divorce mediation will end in success. One of the best ways to insure success in your mediation is to be prepared. This is where a the best divorce lawyers really earn their money. Mediation is somewhat of an art and not a science. If you want to have a successful mediation, you need to have done your homework before you start the mediation. This means that your lawyer should have requested and received sufficient information to allow you to settle your case. If one of the issues you want to settle is child support, but your lawyer has not received the proper information about your spouse’s income or the cost to maintain your kids on a health plan, then how can they calculate an appropriate amount of support? If you want to divide up the retirement accounts, but you don’t know how many accounts there are or what they are worth, then how can you be expected to properly divide those assets? Your divorce lawyer needs to be properly prepared for your mediation – if they aren’t, this is the single biggest way to waste everyone’s time and money. Prior to attending a mediation with a client, our divorce lawyers will prepare a written analysis of every possible issue in your case and give you recommended settlement amounts based on the information we have received up to that point. This helps our client’s to have a realistic expectation about what a financial settlement will look like. If you are looking to receive alimony, we want you to understand what that payment might look like so that you can be prepared when you receive the initial low-ball offer from your spouse. If you think you will see the kids 90% of the time, we want to prepare you for the possibility that you may need to have a joint custody arrangement. Family law cases are emotionally charged and can be extremely stressful. By setting our client’s expectations early on, we can give you time to process so that you are prepared to have some serious conversations when you walk into the mediator’s office. One of the big mistakes we see is that couples will attempt to mediate their divorce too soon, before they have a firm understanding about what issues need to be resolved. Sometimes they will hire a private mediator before they even talk to a lawyer. In still other cases, they will make agreements that they can’t back out of that are clearly not fair to them. As I mentioned in #1 above, it is important that you have all the facts and information about your case before you start to talk about settlement options. 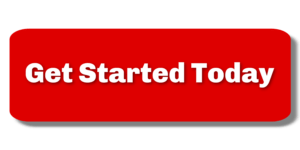 One you sign and notarize a mediation agreement, there is no going back. Make sure you are fully informed about all aspects of your case before you spend the time and money to attend a mediation. One of the biggest mistakes we see people make is that they make an initial offer that is very close to their final offer and then they don’t have any room to negotiate. This frequently happens with lawyers that are inexperienced in the art of legal negotiation, as well as with individuals who decide not to hire a divorce lawyer. If their budget says that they can only afford to pay $3,000 in alimony, then that is the first offer they make. When their spouse counters with a request for $5,000 – they don’t have any room to negotiate. It is unfortunate, but negotiating the details of a family law case can frequently become very similar to trying to buy a used car. And if you don’t have the proper information about what you can and can’t accept, then you will spin your wheels and get nowhere or worse – you will end up with an agreement that is not sustainable long-term. One of the best ways to put yourself in a position to succeed in your divorce mediation is to build in enough room to negotiate what you are willing to accept as your final offer. With almost every client, there are certain issues they don’t care about. It might be the house, or some personal property, or even the amount of alimony. But at the very beginning of the mediation, you don’t want to concede those issues because you don’t know yet what might be important to your spouse. Some of the issues that you don’t care about may be tremendous issues that your spouse will want to negotiate on. And if that is the case, you will learn that over the course of your negotiation and can “throw in” some of those benefits at the end to reach a final resolution to your case. You should discuss these issues ahead of time with your lawyer so that you are both on the same page going into the mediation. A lot of people are confused about what mediation is and how it works. First and foremost, you need to understand that mediation is a voluntary process. That means that even though you may be court ordered to attend a mediation session, nobody, including the mediator, is going to force you to make a decision or agree to a settlement that you aren’t comfortable with. This is different than going to court. If you go to court for a hearing, you will present your evidence and argue your case to the judge. At the end of the hearing, the judge will make a decision that you will be bound to follow. The way a mediation works in Wake County North Carolina may be slightly different than what you would experience in other counties and states across the country. When you first arrive at the mediator’s office, you will be escorted into a conference room which will be your “home” for as long as the mediation lasts. Assuming you have hired a lawyer, they will meet you at the mediator’s office. In Wake County, North Carolina, a mediation will typically start around 9:30 am and, in the majority of cases, will last the entire day. We frequently tell our clients not to schedule anything else on the day of mediation, and to make sure that they have childcare arrangements for the kids. The mediation will start with the mediator coming into your room and giving a brief introduction to them and to the mediation process. They will explain some of the rules of mediation, and may have you sign some paperwork allowing them to serve as your mediator. Because the mediations take so long, the mediator will frequently purchase lunch in for all of the parties. Early on in the day, the mediator will spend a lot of time with each side to get a feel for who you are and what you are looking to accomplish at mediation. As your lawyer, we will sometimes meet with the other lawyer and the mediator alone to give them a quick rundown of the facts of the case and the legal issues involved. The remainder of the time, we will be in the room with you to explain your options, answer any questions you have, and work on preparing various settlement scenarios. As mentioned before, a divorce mediation in North Carolina will frequently take all day, and even last into the evening depending on how complex the case is. In some cases, mediations have been known to last several days or more. Sometimes the parties will discover, during the course of the mediation, that they need more information about a financial asset or a company benefit before they can move forward. In those situations, it is possible to continue the mediation to another day, although this is rare. Mediating a family law case is not an inexpensive process, although it is significantly less expensive than hiring a lawyer to prepare a court case and conduct a trial. You will have to pay a lawyer and ½ of the mediator’s fee. The rates for the mediator in Wake County run from $175-$350/hour, and there is typically an administrative fee of $200-$250. In the vast majority of the cases, you be required to pay these fees at the conclusion of the mediation session. So for an 8-hour mediation, you can expect that your ½ of the mediation will cost anywhere from $800 to $1,500. In addition, you will need to pay your lawyer for their time attending the mediation, which could run an additional $1,600 to $3,200. Compare this to going to court where a good rule of thumb is that it will take a lawyer 2 hours to prepare for every 1 hour of court time. So if you are paying your lawyer a modest $250 per hour, then a 6 hour hearing (i.e. 1 day in court) would cost approximately $4,500, and this doesn’t factor in the cost of expert witnesses and other expenses. By that measure, a mediation is a very good deal. No, you do not need a lawyer to go through a mediation in North Carolina, although we highly recommend it. And even if you and your spouse decide to mediate your case without lawyers, you will still want to hire a lawyer to draft your final separation agreement. This is a document that could affect you for years to come – you want to make sure that it is legally sound and accurate. In addition, you want to make sure that the agreement you have reached is in your best interest and that you aren’t making a huge mistake that a lawyer would catch had you hired them to review your agreement. We frequently meet with clients who have negotiated what they thought were “fair” agreements only to find out that they are receiving way less or paying way more than they should be because they negotiated their agreement without the help of counsel. One of the things that is interesting about divorce mediation in North Carolina, and about divorce in general in North Carolina, is that a divorce mediation can occur at pretty much any stage of the process. It can happen before you separate, or after. It can happen before you divorce, or (believe it or not) after your divorce is final. So the answer to “how long after mediation will my divorce be final?” really depends on when you conduct the mediation. In the vast majority of cases, the mediation will take place either just before the couple separates, or within several months after the separation has occurred. That’s because these are some of the more pivotal times in the lifecycle of a divorce in North Carolina. There is typically a lot going on in terms of settlement negotiations before a couple decides to separate, and then several months after the separation (assuming no separation was reached pre-separation and a lawsuit was filed after the separation date). The biggest disadvantage to a divorce mediation is the cost associated with the process. If you and your spouse have no interest in settling your case and have lots of money to burn, then a divorce mediation may be a waste of time. But for those couples who want to reach a settlement and avoid the time and expense of protracted litigation, then divorce mediation is one of the best ways to get your case resolved. Aside from when you know your spouse is completely unreasonable and will not reach a resolution in mediation, you should not mediate your case too soon in the process, before sufficient financial disclosures (including bank and investment statements, paystubs, credit cards, tax returns, etc.) have been exchanged. You must be prepared to reach a settlement when you walk into the mediator’s office. If you aren’t, because you don’t have enough information, then the mediation will be a futile exercise. Another reason to wait to mediate your case is if you aren’t emotionally prepared to resolve your divorce. To have a successful mediation, both you and your spouse must be prepared to finalize the financial aspects of your divorce, as well as agree on a custody schedule for your children. This may be an emotionally difficult thing to do if you tackle this aspect of your case too soon. A final reason to wait to mediate your case is if your household income is in flux. Some of the most difficult cases to resolve include cases where one or both spouses own their own business or stay at home to take care of the children. If the income of one spouse is not sufficient to pay for two households, then you may need to put off not only the mediation, but possibly the separation until both spouses have sufficient income to care for themselves. In our experience, 80-90% of our mediated cases reach a resolution. But that still leaves 10-20% that end in an impasse. If you are unable to reach a final resolution in your case, then we will begin to prepare your case for a trial. This could include preparing discovery for the other party to respond to, scheduling depositions, hiring expert witnesses, conducting business and custody evaluations, and more. Aside from the uncertainty and stress that comes with preparing for a family law trial, it also costs a great deal of money. This alone can be motivation enough for two individuals to reach a resolution in mediation. But if you can’t reach a resolution at mediation, then your future will include either a trial or perhaps an arbitration. Realistically, no. This is one of the tremendous benefits of mediating a family law case. You and your spouse are only constrained by your imagination, whereas a judge in a family law trial must follow the law in North Carolina. We’ve seen all sorts of creative settlements while assisting clients to mediate their family law cases in North Carolina. The divorce mediation will typically take place at a lawyer’s office, the mediator’s office, or for court ordered custody mediations, at the courthouse. Private mediations are typically split 50-50 by the parties requesting the mediation, although it is not uncommon for the supporting spouse to pay for the entire mediation session in some situations. Court ordered custody mediations are free and paid for by the taxpayers. In Family Financial Mediations in North Carolina, you will typically not have to interact with your spouse, unless you choose to or if you see them in the parking lot or lobby of the mediator’s office. You will be escorted to your room, and your spouse will be escorted to their room for the entire day. If you have questions about Divorce Mediation or are interested in learning more about whether this is the right process for your case, please feel free to contact us at (919) 883-4861 to schedule an initial divorce assessment.